In this article you will find a list of online wallets, payment processors. These are money accounts which you can use for paying online. Some of them can be topped up from bank account or a credit/debit card. You can receive your earned money to them, e.g. from PTC sites. Some of them support withdrawals directly to your bank account. Each PTC site or other program where you can earn money online supports some or more online wallets. Below we will talk about where are which online wallets used the most. I will also add links for registration to each of the payment processors. 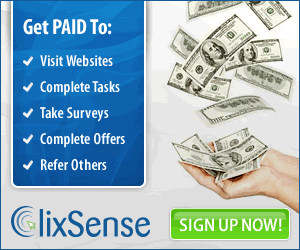 – nowadays not much used on PTC sites and programs where you can earn money online anymore. Only the biggest sites were able to keep it and even there its future is unsure. PayPal stops to support all sites where you can earn money online. – common almost in all online programs and some e-shops. Mainly lately many sites are switching from Paypal to Payza. – you send money to a USD account starting with U***, NOT to a username or userid! There are more wallets out there. This is the list of the ones that I am using. These are all those most used online wallets.